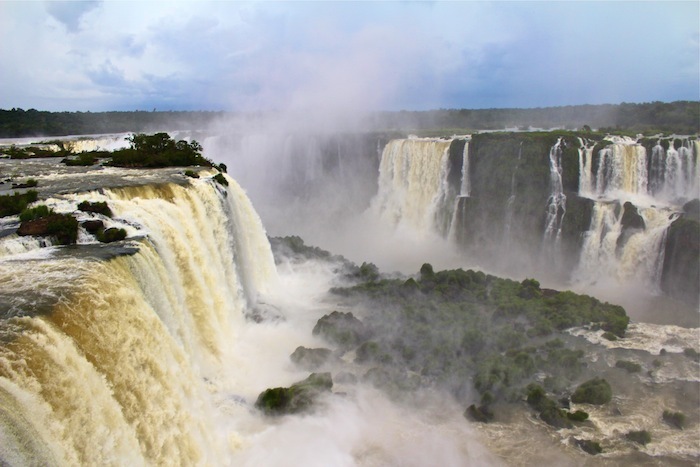 Located along the Iguazu River on the border between Argentina and Brazil is one of the most breathtaking collections of waterfalls in the entire world. Spanning 2.7 kilometers in length, Iguazu Falls is comprised of up to 300 waterfalls reaching heights as tall as 82 meters. 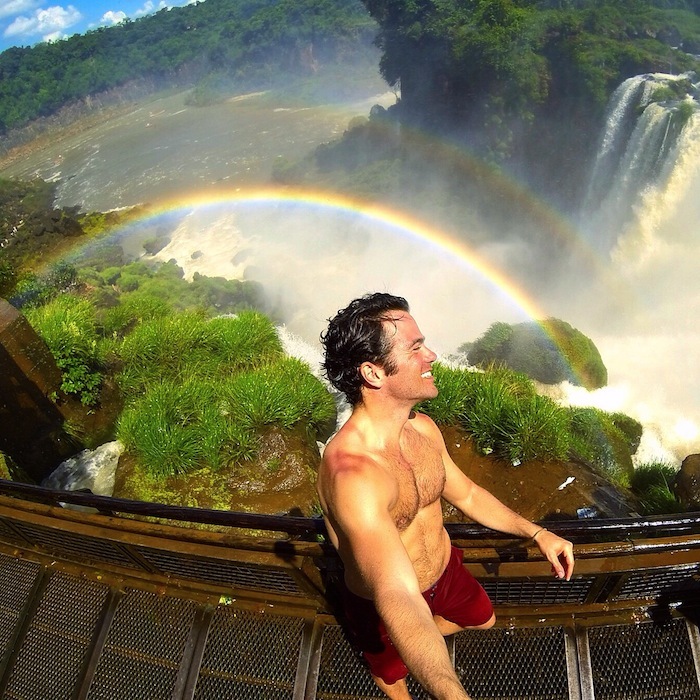 One look at these falls and it’s obvious why travelers from all over the world make getting to Iguazu Falls a priority to soak up this natural wonder. 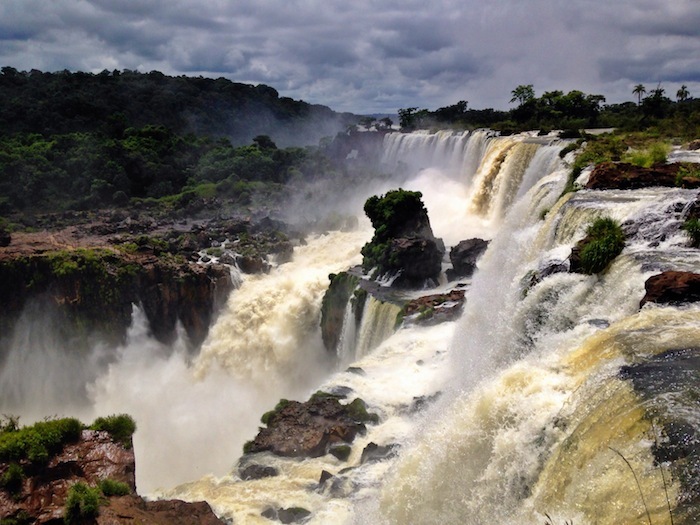 There are two Iguazu Falls national parks – one in Argentina and one in Brazil. You can access both from either Argentina or Brazil, but you need to make sure you have the correct documentation to get into each country. Below is how I accessed both sides from Argentina. Travel Tip – If you’re a U.S. citizen entering Argentina for the first time from another country, you no longer need to pay a $160 USD reciprocity fee. If you don’t want to fly (or are looking to save some money), buses are the next best option. Just be aware that taking a bus comes with a trade-off: you’ll save money, but end up sacrificing a lot of time. 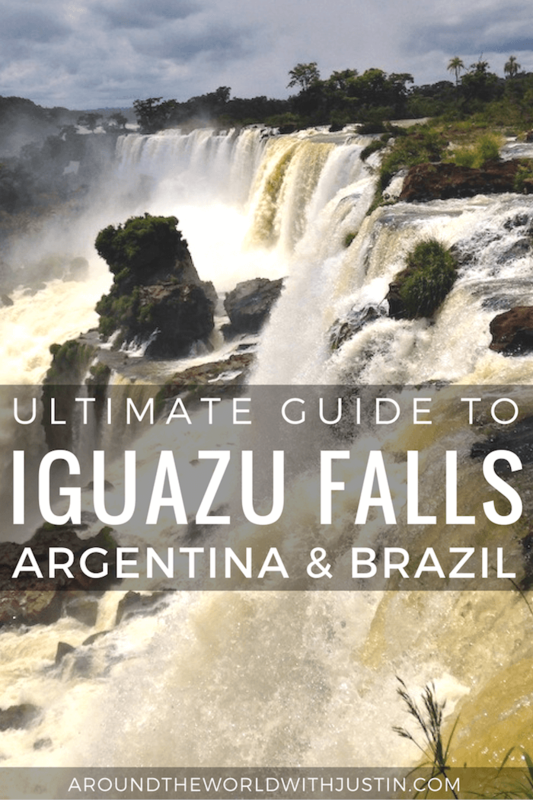 Getting to Iguazu Falls on the Argentine Side: From Puerto Iguazu it is really easy to take a bus (AR$40 one-way) or hire a taxi (AR$100 one-way) to the entrance of Iguazu National Park (Parque Nacional Iguazu). Travel Tip – Some travelers who need a visa actually enter the Brazilian side from Argentina without one by staying on the bus at Brazilian immigration. I was told some people make it through while others don’t. This is definitely riskier than obtaining a visa. Getting to Iguazu Falls on the Brazilian Side: From Puerto Iguazu there are various buses that go from the town’s bus station to the entrance of Iguazu National Park (Cataratas do Iguacu). 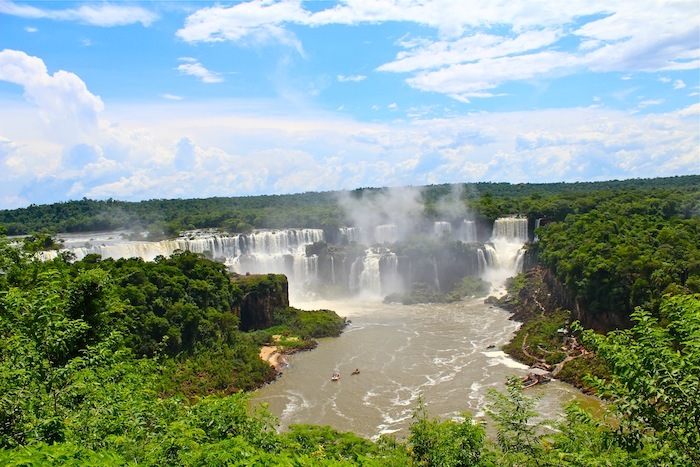 A popular option is the Rio Uruguay round-trip bus ticket to “Cataratas Brasil.” On the way in, the bus stops at Argentine immigration first, followed by Brazilian immigration. On the way out, it makes those stops in reverse. Many nationalities (U.S., Australia and Canada to name a few) require visas to enter Brazil so make sure you check to see if you need one! 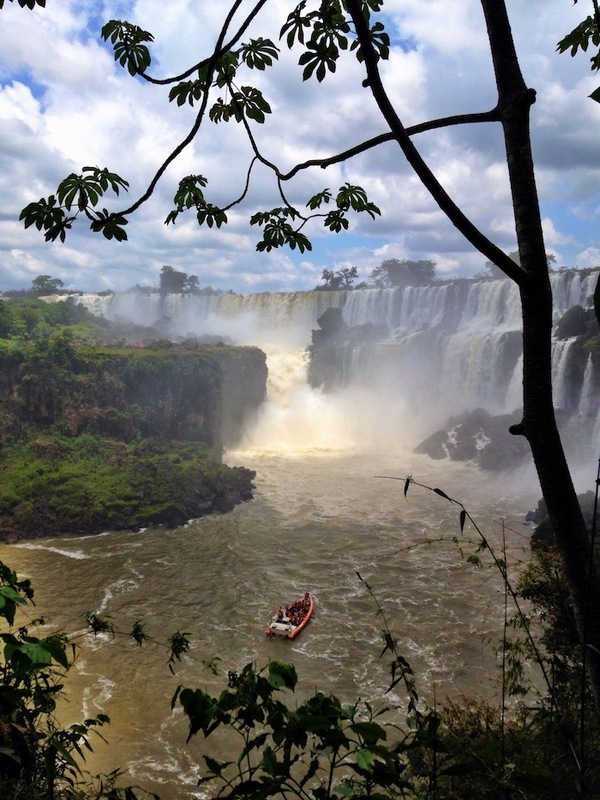 I spent two full days each exploring both the Brazilian and Argentine side of Iguazu Falls. 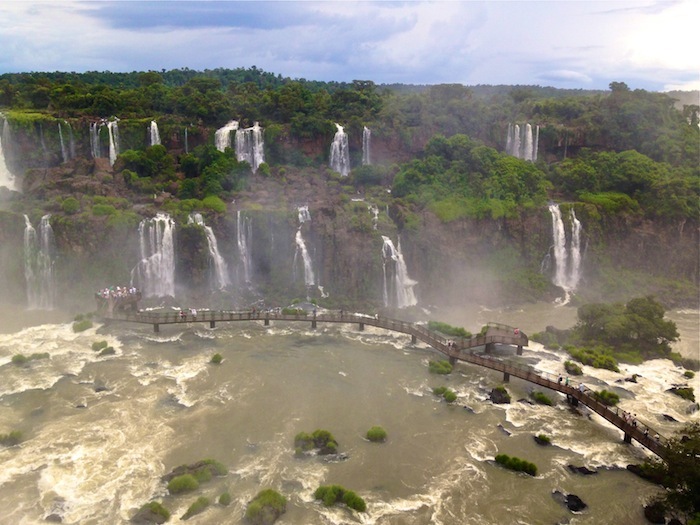 The Brazilian side is known for its panoramic views of Iguazu Falls. At a distance, it’s easy to get lost in the breathtaking views. Seeing waterfall after waterfall is completely awe-inspiring; it’s unlike anything I’ve ever seen before. After getting to Iguazu Falls, entering the park costs adults R$52,30 (check for updates) and the park is easy to navigate. I took a double-decker bus to the main path along the edge of the falls. For 1.5km I casually walked along the path taking in the gorgeous views. At the end of the observation trail is Devil’s Throat (Garganta del Diablo) where nearly half of the Iguazu River flows into a deep gorge. Here you can actually walk over the river and basically into the base of the falls. You can also take an elevator up to a viewing area that overlooks the waterfalls. 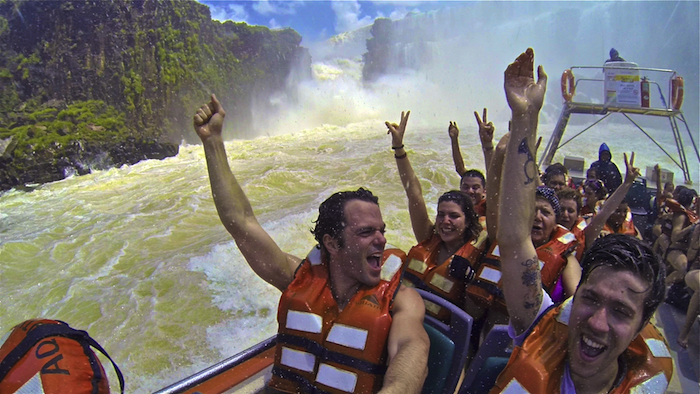 The Argentine side is known for its up close and personal views of Iguazu Falls — this is the adventurous side! Whereas the Brazilian side is more like a beautiful viewing exhibit, the Argentine is hands-on and interactive. There are two main pathways to explore the waterfalls there – a high one and low one – and both offer breathtaking experiences. 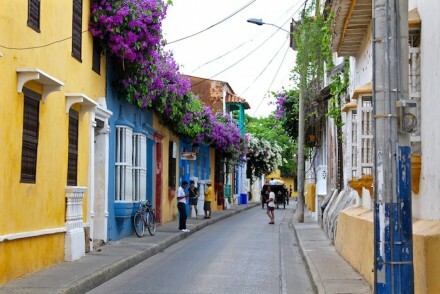 Travel Tip – You can only pay the entrance fee in Argentine pesos and in cash. The cost to enter for adults is AR$260 (check for updates) and this has a much bigger feel than the Brazilian side — it’s almost like nature’s version of Walt Disney World. The good news is all you really need is the park map given away at the entrance to easily explore the grounds. 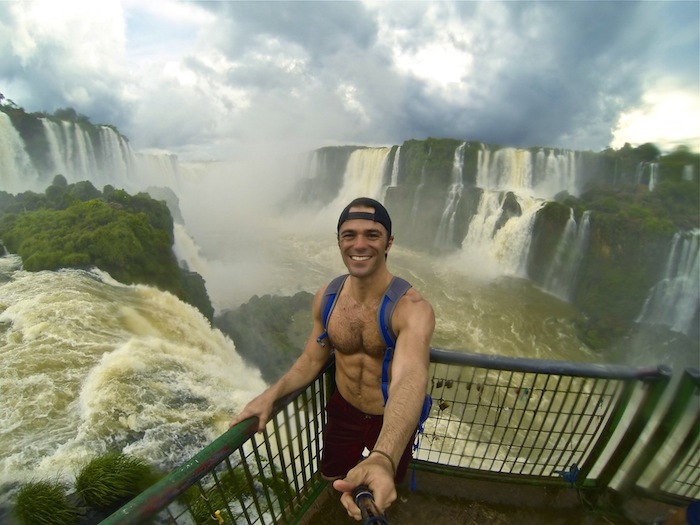 I was really happy I went to the Brazilian side first and started with the bigger perspective. 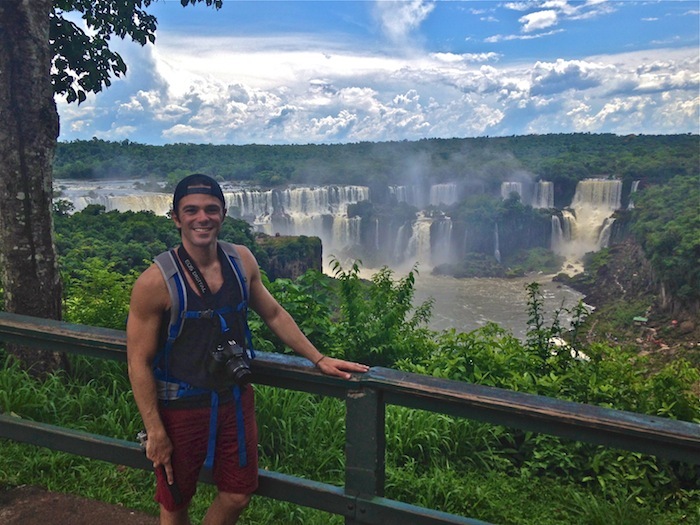 Walking around the Argentine side made me feel like I was an explorer navigating the jungle, discovering stunning waterfalls (and rainbows) with every turn. 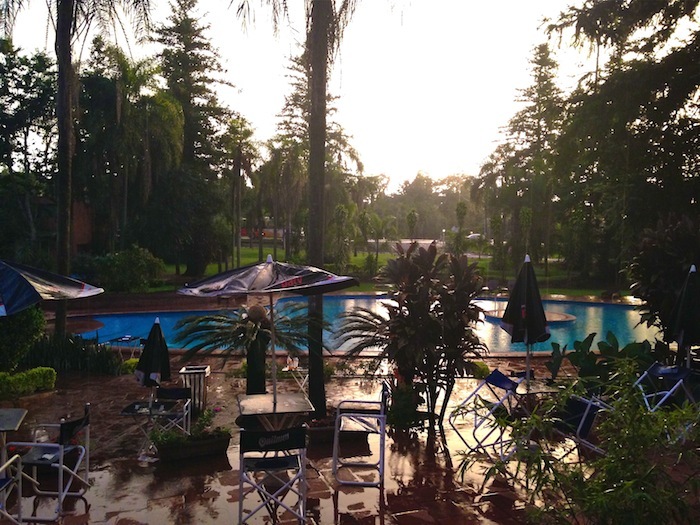 I stayed at Hostel Inn Iguazu and was happy with it overall. The grounds itself physically had more of a hotel layout – large pool, restaurant, cafeteria-like seating area, bar, recreation area – but the buildings (and clientele) definitely had a hostel feel and were a little rundown. I stayed in a 4-person dorm room with air-conditioning and easily was able to make friends with other travelers staying here. The location is also an easy bus ride to the center of town and there’s even a convenient bus stop right in front of the hostel for getting to Iguazu Falls on the Argentine side. Right next door is the Ice Bar Iguazu which was fun to check out, but definitely not uniquely Argentine (a.k.a. 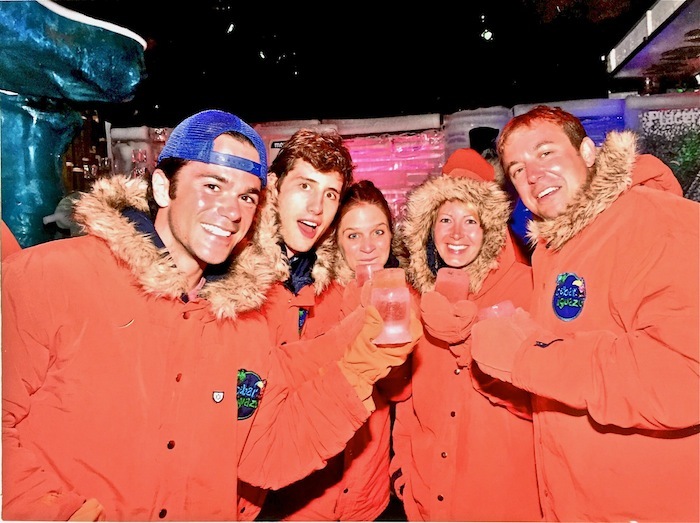 a tourist trap) and not worth the “all you can drink” deal as the shots were disgusting. 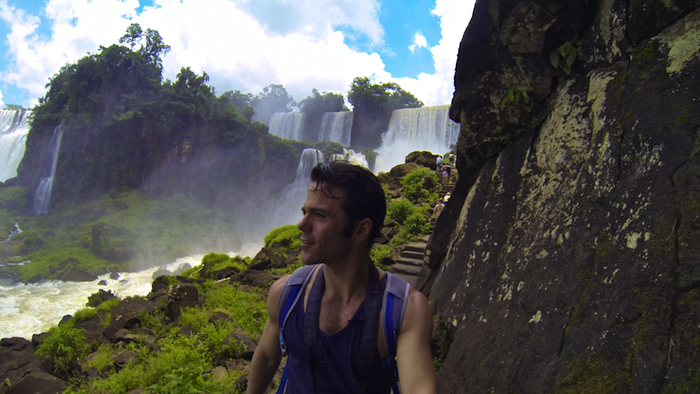 After spending two days soaking up the waterfalls, I walked away from Iguazu Falls with a greater appreciation of nature. What I loved most was the contrast of viewing it on both sides. At a distance the falls were serene and majestic. Up close they were commanding and forceful. My time here challenges me to experience nature from different lenses to deepen my connection to its many beautiful sides. Thank you! 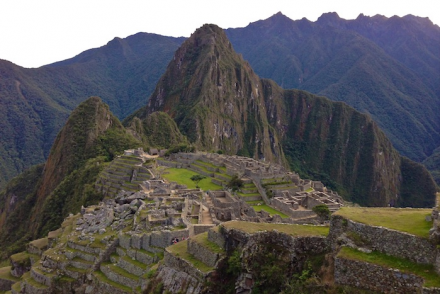 I love hearing that my blog and resources are helping others with their travels. Let me know if you have any questions about places I’ve been to. Happy to help! Thank you for sharing your travels. I was just glad to run across your blog and see such a beautiful spot from my desk. 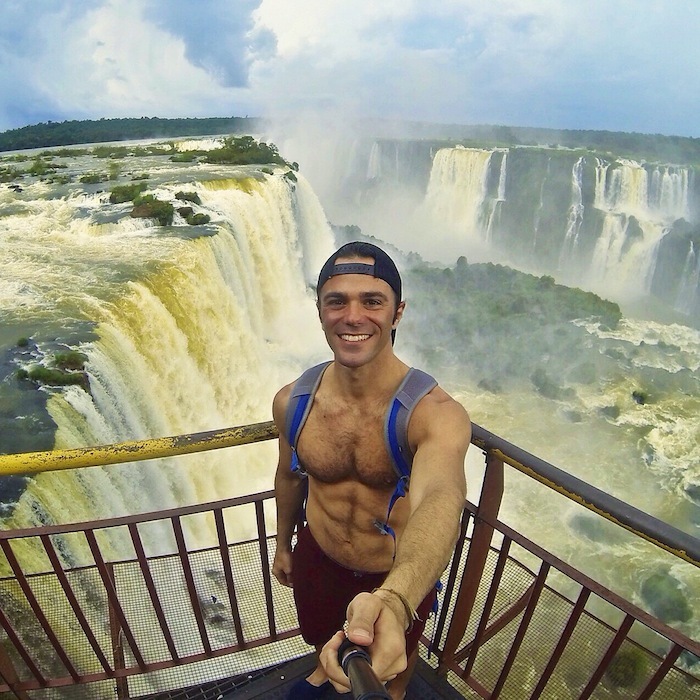 I never knew about Iguazu Falls in Argentina. What a fantastic spot! Hi Dee! This means so much to me. 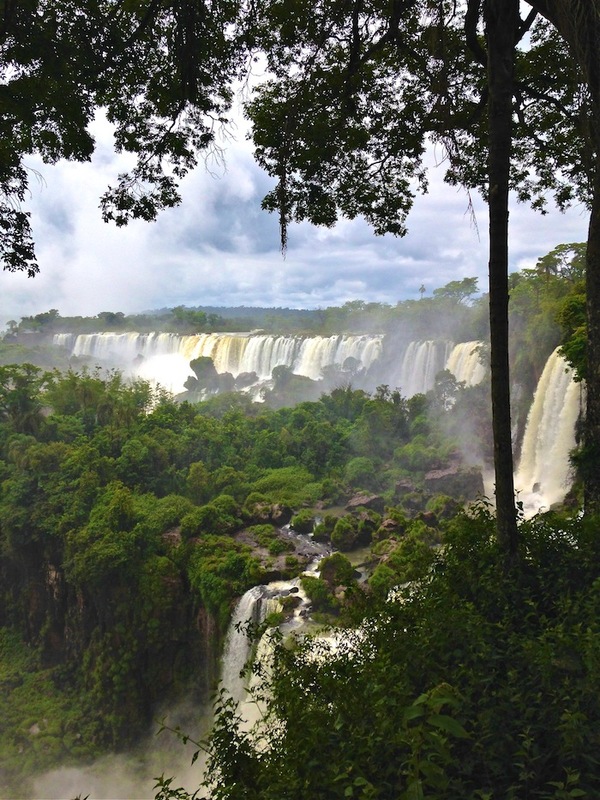 I’m so happy you’ve enjoyed my blog and hopefully it has inspired you to go to places like Iguazu Falls. If you ever need any travel tips make sure to hit me up on here. 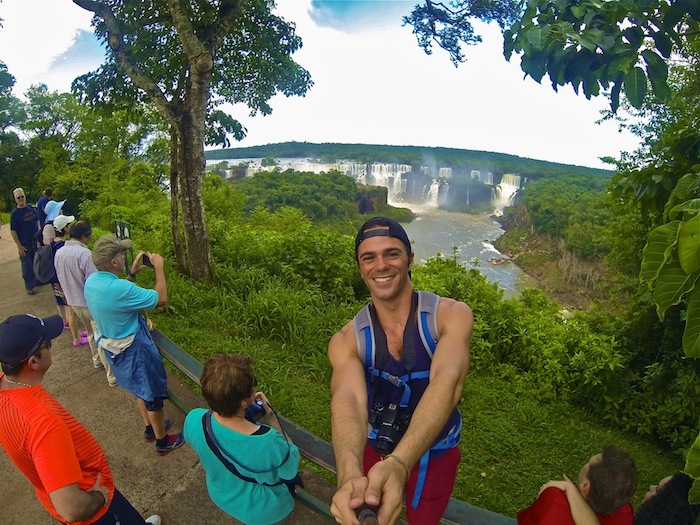 Enjoy your travel blog on Iguazu Falls and LOVE your pictures! 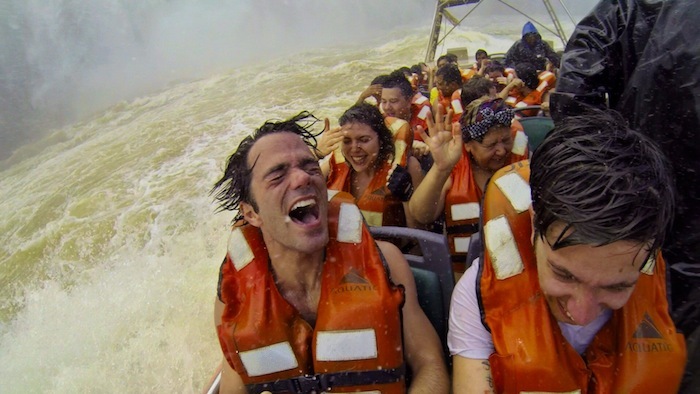 Trying to research on the feasibility of taking a trip to the falls from USA. Look pretty expensive with airs and hotels!!! Thanks for providing info on transportation. It is essential for our planning to maximize time and minimize hotel stays. If we are flying into IGR early afternoon, is it possible to go directly tothe Brazil side of the park by bus or taxi? Just to take a few panoramic pictures like you !!! Then back to Argentine side overnite for full next day visit before early flight on third day back to BA? THANK YOU for advice. Hi Lisa! I’m glad my blog has been helpful for your trip. If you fly into IGR you can take a bus or taxi to the Brazil side, but would just have to check on the timing buses go there and the hours of the park. Also, as noted in my blog you need to have a visa to get into the Brazil side. 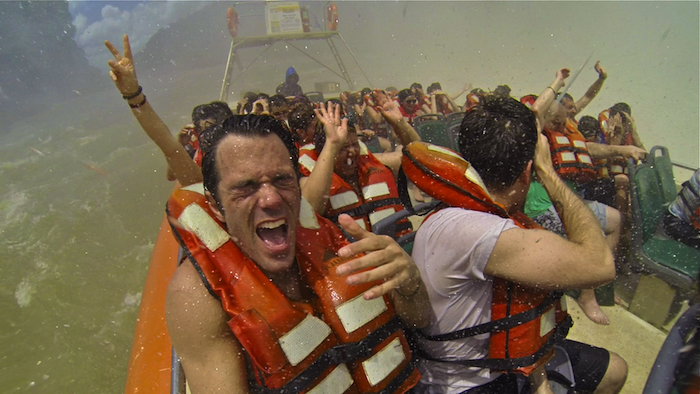 However, some travelers do “sneak in” without visas, definitely a more risky approach. I would look into bus schedules, visas and flight arrival times and see what you might be able to get together. Let me know if you have any other questions!